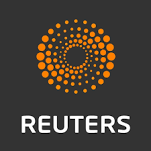 Reuters is an international news agency headquartered in Canary Wharf, London, England, United Kingdom and is a division of Thomson Reuters. The ailing leader is stepping down after a 20-year rule. European officials said on Tuesday the prospect of Britain leaving the European Union without a deal in 10 days time was growing as British Prime Minister Theresa May summoned ministers to try to find a Brexit breakthrough. The US government cut aid to Northern Triangle countries after President Donald Trump blasted the countries for sending migrants to the United States. Angry Venezuelans set up burning barricades near the presidential palace in Caracas and in other parts of the country on Sunday in protests over constant power outages and shortages of drinking water in the wake of two major blackouts this month. A small tanker that was hijacked by migrants off Libya docked in Malta's port of Valletta on Thursday after Maltese special forces took control of the vessel. UK Prime Minister Theresa May told a meeting of Conservative lawmakers she would stand down if her EU divorce plan finally got through a bitterly-divided parliament. Ukrainians exhausted by five years of war and decades of official corruption look set to send a comedian with no political experience into a second round run-off against the incumbent when they vote in Sunday's presidential election. European Union lawmakers voted on Tuesday to scrap the practice of moving clocks forward by an hour in the spring then back again in the fall. Forget the Taj Mahal — what about a Modi rally? The upcoming election takes more than five weeks to allow everyone to vote and tour groups are offering packages that include traditional tourist sites with political events. In a four-page letter, the US Attorney General released summary of the report's findings to lawmakers on Sunday.